A variety of other health problems. Besides treating the gum disease, we can work to optimize your overall health. So contact us if you believe you have gum disease. Gingivitis: This is when you have swollen or bleeding gum tissue. 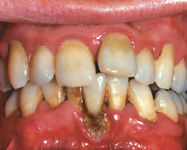 It occurs when bacteria collects and remains on the teeth. 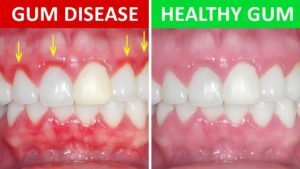 If untreated, it can lead to periodontal disease. Periodontitis: It is an infection of the tissue and bone around the teeth and a loss of foundational bone that surrounds them. Maintain regular dental cleanings and check-ups. Remove built up plaque and tartar. Fill any cavities that have formed. For more information, Colgate has written an article on the treatment of gingivitis and options for home care. Once we have stopped the progression, we can often manage and maintain the teeth at that stage. While we can help to improve your oral hygiene to treat gum disease, we also refer patients to the Periodontics specialists in Helena at MT Implants and Periodontics. So how can I prevent it? Brushing with a fluoride toothpaste at least twice a day. Attending your recommended hygiene and recall exams. Visit our Proper Home Care page for more information about maintaining good oral health.